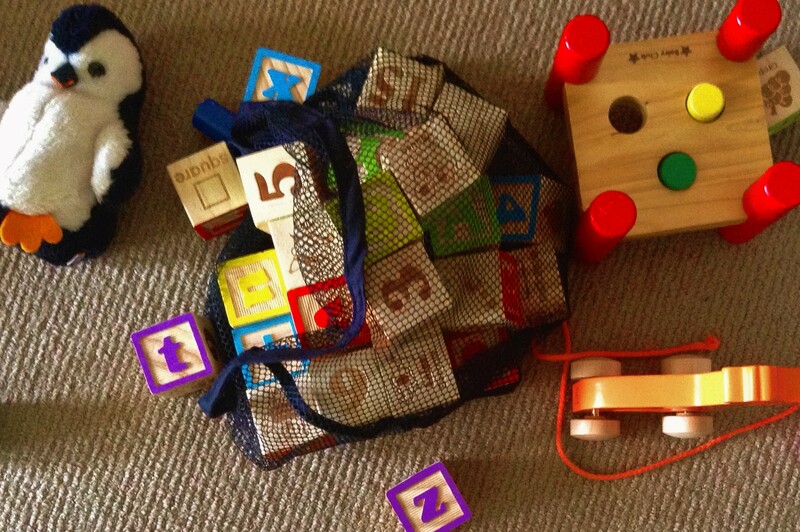 As the mother of a one year old, I’m learning a lot about play. It’s the thing that happens between eating and sleeping and escaping the house for walks. It has surprised me, though it may not have surprised Heraclitus, how serious my son’s play is. When he plays, he becomes completely focused on what he is doing. He is persistent. He tries things out to see what will happen. And Brown is not alone in promoting the importance of play for adults. Play is an open-ended, sustained interaction with an aspect of the world. (Leaf! Truck! Noise! Body Part!) It is based on curiosity and experimentation, and it sometimes results in something new or unexpected happening. As a writer, I often feel that what I’ve got in front of me (the story idea, the characters, the setting) isn’t enough. It’s not interesting enough. It’s not fun enough. I flirt with new plot ideas on a regular basis. I think: maybe if I work on new and exciting STORY X just on the weekends, or after 9.30pm, or only and so long as I’ve already hit 1000 words for the day on my novel, it will be okay. Because what I’m writing is starting to get tired and dull and to feel too much like work and starting something new would let me have a bit of fun. But the truth is you don’t need anything special in order to play. My son can play with ANYTHING. Which isn’t to say that he should. Some things are too delicate, or too valuable, or difficult to replace. These things are not for playing with. (Though if you’re a writer looking to play, this is what backups and version control are for). But give him a spoon and a saucepan and you’re set for, well, at least three minutes. Play makes things new. It breathes life and surprise back into what’s right there in front of you. When Jack plays with something, it’s as though he’s never seen it before in his life. He picks it up and turns it around, bangs it against some other thing, puts it in his mouth. He wants to know what it is, what it can do, what it’s good for. What if I turn it upside down? What if I wear it on my head? What happens if I put some socks in there, or if I roll it on the floor? Hey, I can stand on it! Don’t be limited by the way you’ve come to believe things are. Experiment. Change your point of view. Let curiosity guide you. When I was a kid I loved to play in mud. We were building our own house on a block of land in the Adelaide Hills and building sites can get pretty muddy. Also we had two dams and some permanently damp spots that could be relied upon to produce excellent mud. Mud pies, sure, they were a thing. Also I waded in it, painted myself with it, sometimes fell into it. Full body mud immersion. I do remember having to stand in the laundry once to be hosed down before I was allowed any further into the house. But I’m so glad that none of the responsible adults looking after me thought all this mud was a bad thing. Because being able to play like that was pure joy. Mess is freedom. So screw the mess. Play with your words any way you like. Have some fun. Don’t worry about the consequences. Someone (possibly you) can clean it up later if necessary. Einstein is widely attributed as saying that doing the same thing over and over again and expecting a different result is the definition of insanity. From my observation, it’s also the definition of being a one year old at play. Yep, hit that block with that other block over and over and over again just to see what happens. And the funny thing is, sometimes something different does happen. Because it’s actually quite difficult, outside a strictly controlled laboratory environment, to do the same thing repeatedly in exactly the same way. There is variation, sometimes subtle, sometimes due to a significant margin of human error, or to gradual increase in skill. Sure, it’s important to learn from mistakes, to know when you need to do things differently. But there is also great value to repetition. While play is more about process than purpose, my son still finds great joy in moments of accomplishment. When he stacks blocks on top of one another and they teeter in balance for a moment before collapsing: that is a victory. When he accidentally discovers how to make a plastic lid spin in a perfect circle on the tiled kitchen floor: that is a victory. When he splashes so much water out of the bath that the surrounding adults are soaked and the floor squelches: that is most certainly a victory. When I watch him, I see how these moments light him up and energise him (feeding the do it again, and again and again loop). And when the blocks that balanced fall over again, that’s not failure: that’s fun. So don’t forget to savour the moments when the things you are playing with crazily and unexpectedly work. Even if it’s just a couple of words that sit nicely beside one another, or a character who says or does something that takes you by surprise. You created something! Go you! Of course, a lot of the time it does all end in tears. The bounds of play are frustration and distraction. If it suddenly feels too hard, if you start to want to throw things out of anger rather than to see how they bounce, if you want to cry or to lay down on the floor and kick for a bit (which you are allowed to do if you need to), consider the possibility that you might be getting hungry, or tired. We are beings ruled by chemistry. We need to feed our bodies and our minds with good food and proper rest. Anyone who lives with a small child can tell you that these things are fundamental. At which point, I’m going to make some lunch.